- Click here to view the video in Quicktime. In addition to the articles in response to the controversy, this issue also has three special sections. All are related to Maxine Greene in special ways. Chas Hoppe: In this slideshow presentation, Whatcom Day Academy instructor Susan Donnelly analyses the artwork of a former Prospect Center student, nicknamed “Iris.” By tracing motifs found consistently in Iris’s art over the course of several years, we are able to gain insight into children’s imaginative communities, their values, and their dreams. 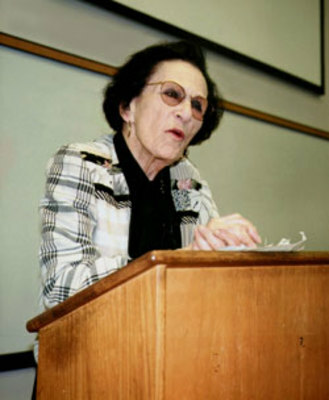 In October 2007, Susan Fransoza, Wendy Kohli, and Moredachai Gordon organized a special session at the annual meeting of the American Educational Studies Association in Cleveland entitled: Imaging the Future of Educational Studies: A Commemoration of the Work and 90th Birthday of Maxine Greene. I was honored to be invited to join my colleagues, Michelle Fine, Mary Bushnell Greiner, and James Palermo on this panel where we shared our unique perspectives on Maxine Greene’s work, as well as our shared admiration and love for her as our friend and teacher. The four of us, and the standing room only gathering at the session, were also treated to the special joy of Maxine’s company and response to our presentations. As always, she both embraced us as fellow travelers, while honoring us with careful, yet critical comments. And through this, we all learned once more what it means to be present in the dialectic of freedom and community. I am grateful to Lorraine Kasprisin for inviting me to assemble the presentations from that special session for inclusion in the special issue of the Journal of Educational Controversy dedicated to Maxine Greene. Thanks to my fellow panel members for their participation, to Wendy, Susan, and Moredachai for the good work of getting the whole project started, to Fairfield University for its support, and, of course, to Maxine for inspiring and educating us all. Photo taken at the 2007 AESA Annual Conference in Cleveland, Ohio. Special Session: Imaging the Future of Educational Studies: A Commemoration of the Work and 90th Birthday of Maxine Green. 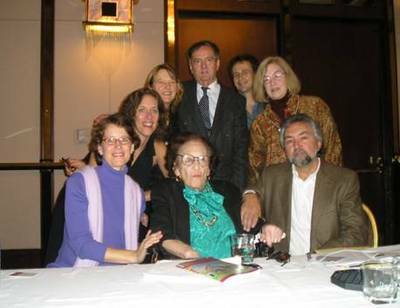 Clockwise from the left: Mary Bushnell Greiner, Michelle Fine, Wendy Kohli, James Palermo, Mordechai Gordon, Susan Franzosa, Jim Giarelli, and Maxine Greene. Theme: Editor: The article below appeared in our Volume 3 Number 1 Winter 2008 issue on the theme, “Schooling as if Democracy Matters.” It has a particular relevance to the theme of this issue also. "My vision, in launching this Foundation, is to generate inquiry, imagination, and the creation of art works by diverse people. It has to do so with a sense of the deficiencies in our world and a desire to repair, wherever possible. Justice, equality, freedom - these are as important to us as the arts, and we believe they can infuse each other, perhaps making some difference at a troubled time." An understanding of the role of public schools in sustaining the life of a democracy requires more than the occasional class in civic education. It requires the development of social imagination. Maxine Greene reminds us of the important role that the arts - visual art, music, performance art and literature - can play in such an education. We invite authors to explore the many dimensions of a vision for such an education within schools and colleges, or alternatively, outside these institutions. We also invite authors to contribute to a special section on Maxine Greene's lifetime work and writings on art, social imagination and education. A new book comprised of 75 letters from a wide range of teachers, scholars and artists, followed by a short interview with Maxine, is now in publication by Teacher’s College Press. The title is Dear Maxine: Letters from the Unfinished Conversation and is edited by Robert Lake. The date of release is September, 2010. Every letter in this book contains first person accounts of the impact that Maxine’s life and scholarship has made on the current generation, and I can think of no better way to present the immense value of her work to the next generation than through these personal narratives. The Foundation is concerned with supporting the creation of and informed appreciation of works that embody fresh social visions, that move people to perceive alternative possibilities for the making of humane communities.